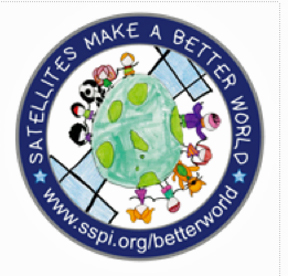 The Society of Satellite Professionals International (SSPI) has awarded the organization's Better Satellite World Award to the signatories of the Crisis Connectivity Charter to recognize the Crisis Connectivity Charter as a key mechanism created between the satellite industry and the wider humanitarian community to make satellite-based communications more readily available to humanitarian first responders and affected communities. When activated by the Emergency Telecommunications Cluster (ETC), the Charter will foster more efficient coordination between the satellite industry, local governments, non-government organizations (NGOs) and the broader humanitarian community in the initial stages of a disaster, allowing for better communication planning, increased connectivity and support to emergency responses. The Charter donation agreements provide three months free-of-charge bandwidth for humanitarian purposes during disaster responses using pre-positioned satellite equipment at WFP warehouses around the world for rapid deployment. Charter signatories have also committed to provide training for the humanitarian community on the use and deployment of satellite connectivity equipment. The entities recognized by the award are Arabsat, Eutelsat, Global Eagle, Hispasat, Inmarsat, Intelsat, SES, Thuraya, Yahsat, United Nations Office for the Coordination of Humanitarian Affairs, United Nations World Food Program (WFP) and as coordinating entities, EMEA Satellite Operators Association (ESOA) and the Global VSAT Forum (GVF). The Secretary Generals of ESOA and GVF, commented that the ubiquity and resiliency of satellites often make them the only solution available at times of disaster. That is why it is essential to have satellite fully integrated into a communications network well in advance of crisis. A hybrid network is essential in today’s world and by fully integrating satellite, it will provide the resiliency, redundancy and performance needed to withstand natural disasters and satellite’s ‘always on’ capabilities ensures that disaster responders can quickly restore life-saving communications. .As one of the first industrial sectors to make concrete commitments for disaster response, the charter signatories appreciate SSPI’s recognition and hopes it will spur greater use of life-saving satellite services and equipment by the humanitarian sector.